Festival International de Louisiane is the largest international music festival in the US. There will be musicians and artists from over 20 countries putting on performances, workshops, exhibits, and shows. Every year over 300,000 people flock to Lafayette to listen to musical acts, eat cuisine from all over the world and look at arts and crafts. The festival is outdoors in Downtown Lafayette. 2018 is the 32nd annual festival. 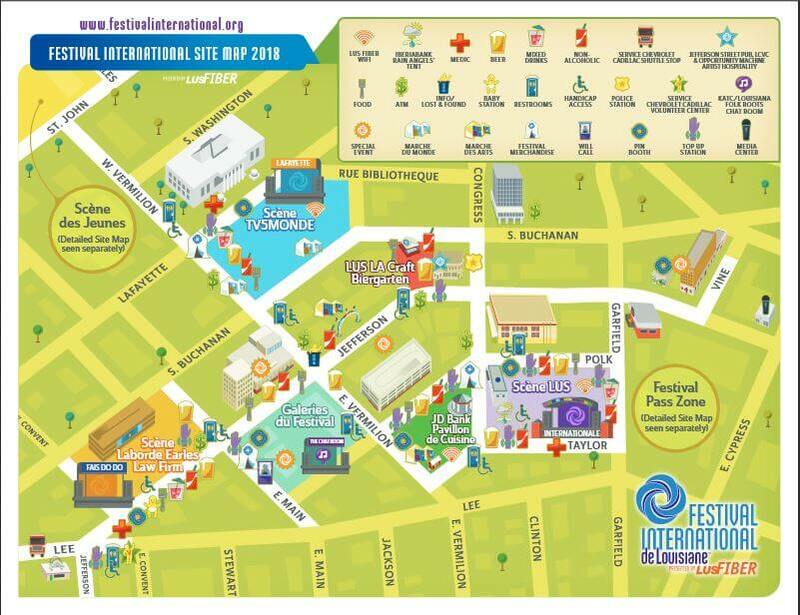 The 5 day Festival International de Louisiane runs April 25 – 29. The festival was voted the Best World Music Festival multiple years. It’s a family friendly festival. Bring the kids. Leave the ice chest at home. Over 20 countries are show casing over 60 musical acts. Dozens of local Louisiana acts, including the Lost Bayou Ramblers, Marc Broussard, Feu Follet, Givers, Samantha Fish, Geno Delafose and more will be playing. Festival International de Louisiane is truly international. Acts from Morocco, Jamaica, Scotland, Ireland, Mali, Brazil and other countries are represented. Musical genres include Blues, Soul, Throat Singing, Rock, Zydeco, Reggae, Folk and more! The acts are sure to delight music lovers. 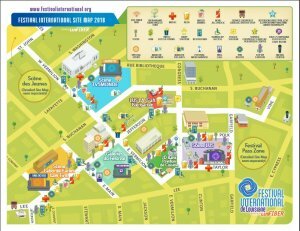 Festival International is a free festival. No tickets necessary. But you can get a Festival Pass and make your life easier. There are two passes available. The Bon Temp (BT) and the Lagniappe (L). A pass gets you access to a few perks. Access to Festival Pass Zones at Scène Fais Do Do and Scène Internationale the private bar and shade (BT). Front Row Access at the Main Stage (BT). Access to two clean and air conditioned restroom stops and one private, clean restroom stop (BT & L). Express Beverage Line at the Festival Cocktail Stops (BT & L). There is free parking at Cajun Field. Shuttle service provided on Thursday – Sunday from Cajun Field to Barry / Lee St. Shuttles run during Festival hours until 11:30 on Thursday and Friday. Shuttle services to midnight on Saturday and 8:00 on Sunday. The parking garage on Buchanan Street, between W. Convent Street and Main Street is open and available on a first come basis. Street parking is sparse and hard to come by. The festival is downtown and a lot of streets are closed to vehicle traffic.